I have been an enthusiast of Grand Prix motorcycle racing since the early 1970’s and always relished reading the latest news, race reports and interviews in the specialist press. To a degree, it allows a certain amount of insight into the character of our racing heroes, but like anyone who is thrust into the media spotlight, the public image does not fully reveal the person. For example, triple World Champion, Freddie Spencer, was presented by many in the media as a devout Christian who hailed from the Bible belt town of Shreveport Louisiana USA. It was alleged his faith helped him to his first 500cc World Championship in 1983 defeating “King” Kenny Roberts by just two points. The truth though is somewhat different. 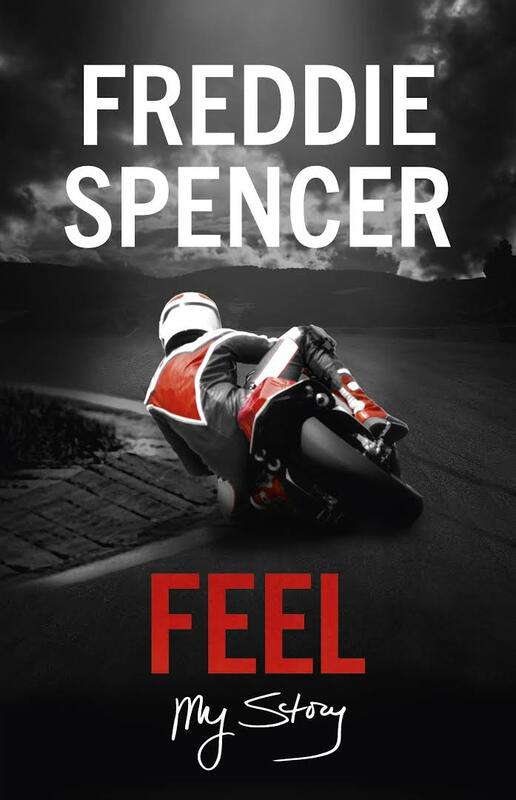 Freddie Spencer’s autobiography (with Rick Broadbent) is an openly disarming account of his life. From the early days racing with his Dad, Frederick Snr, to the highs and the lows of his racing career and the many injuries he sustained but hid from the press. Freddie reveals that he was not a churchgoer or deeply religious, but he has faith, and his journey has been in many ways a spiritual one. Spencer is also the only rider to have won both the 250cc (Moto2) and 500cc (MotoGP) World Championship in the same season, a feat that is unlikely to be emulated. FEEL: My Story, is the book that fills in the blanks surrounding Freddie’s career and reveals a fascinating insight into his search for meaning. Review © Geoff Dawes 2017. This entry was posted in Books, Motorcycle Racing and tagged 250cc World Champion, 500cc World Champion, 500cc World Championship, Freddie Spencer, Honda 1984 NSR500, Honda NS500, Kenny Roberts on 23/06/2017 by Geoff Dawes.